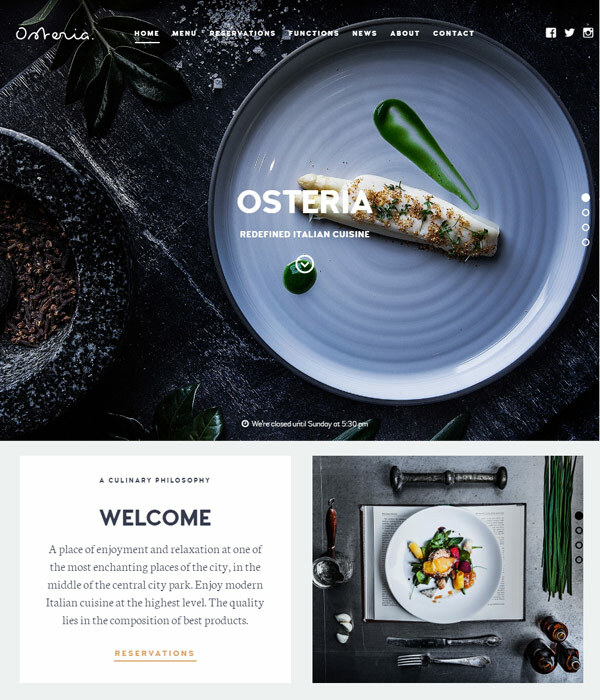 As soon as you look at the Osteria demo website you’ll probably love the design. PixelGrade always do a great job with typography and it was the first thing that stood out for me. Big bold headings combined with an easy to read serif body font make for a perfect combination here. 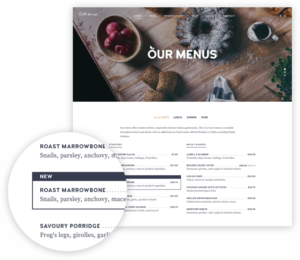 PixelGrade claim to have built Osteria on a ‘solid UX (user experience) infrastructure focused on facilitating people’s decisions’. 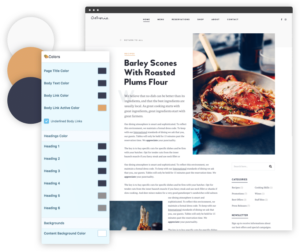 This should be a major bonus for users because a website built using Osteria should be simple and easy to use which should result in more enquiries and reservations. When I looked through the pages in the demo I was able to find all the information I would want when researching a restaurant and it was clear that the theme had been planned out very thoroughly. A good restaurant theme needs to do more than just look great. Reservation and menu functionality are key areas and Osteria nails both of these features. The menu page looks awesome – just like real life restaurant menus in fact. Osteria also makes the menu very easy to set up with no coding required. The reservation system is equally well done, with integration with OpenTable available. PixelGrade always do a great job with their theme options, usually including various color schemes as well as plenty of other options to make their themes unique. Osteria lets you change loads of different colors with a couple of clicks and you can also change plenty of font options and tweak some layout options too. I really like the fact that their options panels are simple and work just like the default WordPress functionality. You wont need to work out how to use some complicated, over the top options panel with the Osteria theme. Osteria is one of my all time favourite restaurant themes. This is not a cheap theme though as it’s currently priced at $225. This price may seem steep when compared to many other premium themes in the market that are usually priced at around $50. I really think the higher price is worth it though and if you are serious about having an awesome website then spending $225 should be no-brainer.